Posted 9 February 2018 by colin & filed under Uncategorized. Four of us from Belfast attended this day of reviews of the work of each of our Places of Sanctuary, including our own in Belfast. I spoke on behalf of Belfast City of Sanctuary of which I’m Joint Coordinator. Jane Camara from our Education Authority spoke about the Schools of Sanctuary in Belfast, of which Blythefield Primary School is the first Primary School of Sanctuary in Ireland. There is a lot of interest by other schools within the Urban Villages areas of becoming Schools of Sanctuary in Belfast. We engaged with refugees from many countries throughout a troubled, often threatening world. Very humbling. Our keynote speaker was Jonathan Ellis (COSUK Vice Chair, international campaigning teacher and author of Campaigning for Change) – tremendously inspiring! In my mind throughout that day, I thought about our guiding principles of Welcome, Safety and Inclusion. A very warm and stimulating day of sharing information and ideas. 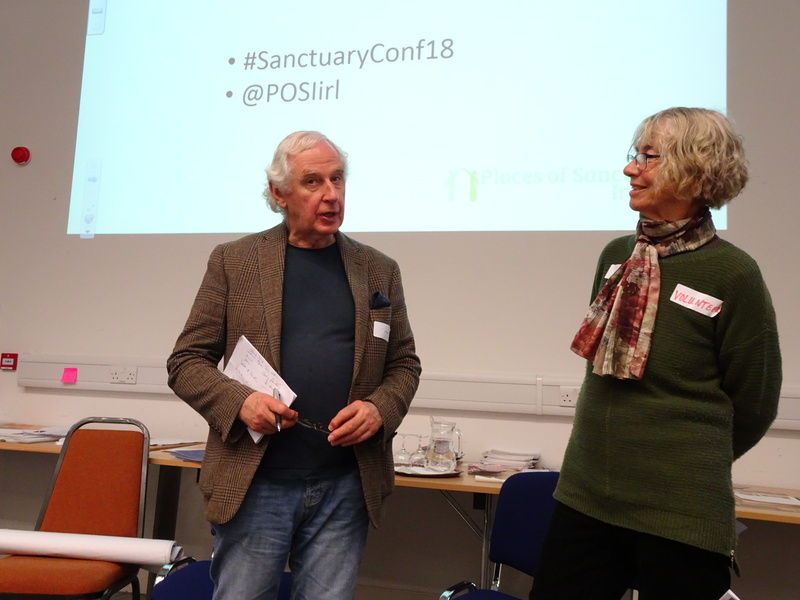 Thanks to Places of Sanctuary Ireland and its Coordinator, the energetic and enthusiastic Tiffy Allen for organising this important conference.